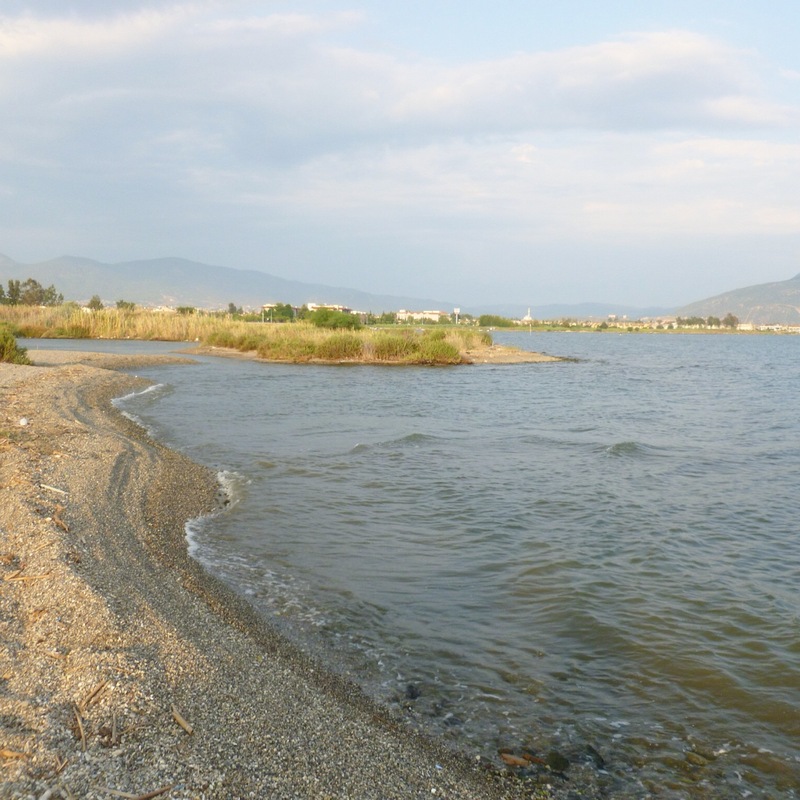 This evening we went for another walk – this time along the whole of Calis promenade to the furthest point of the beach. 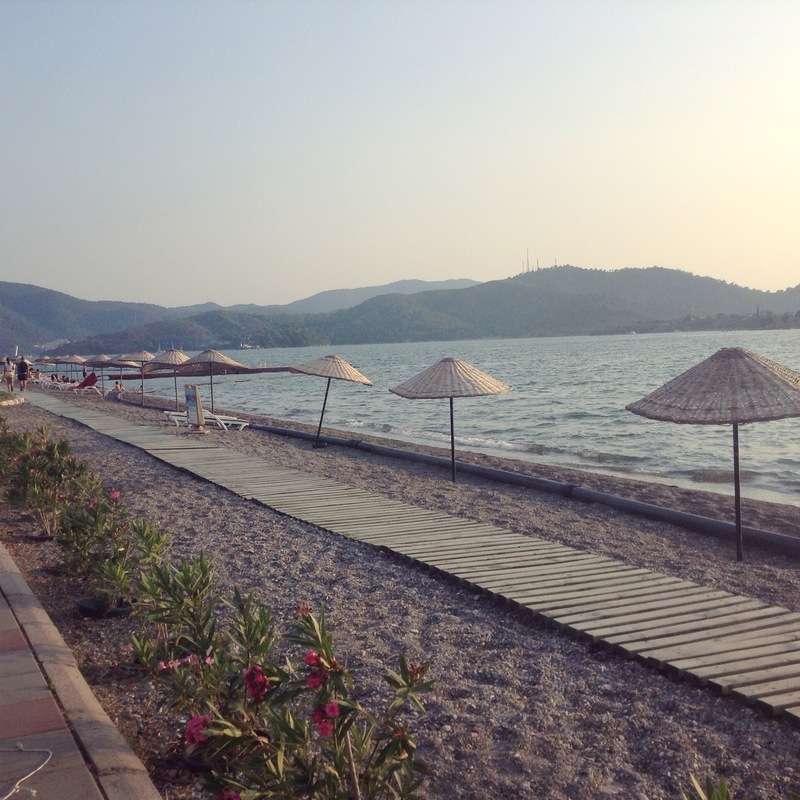 In all the years I’ve lived here I’ve never been so far along the beach – we had been to Şat restaurant at the end once way back in October 2010, but it’s expensive so we never bothered going so far again – what a mistake that was! I thought there must be something past Şat as I’d seen photos previously, so I convinced Berkay to carry on walking. “There’s nothing there, you can’t walk there it’s just the restaurant” he said… he was wrong! 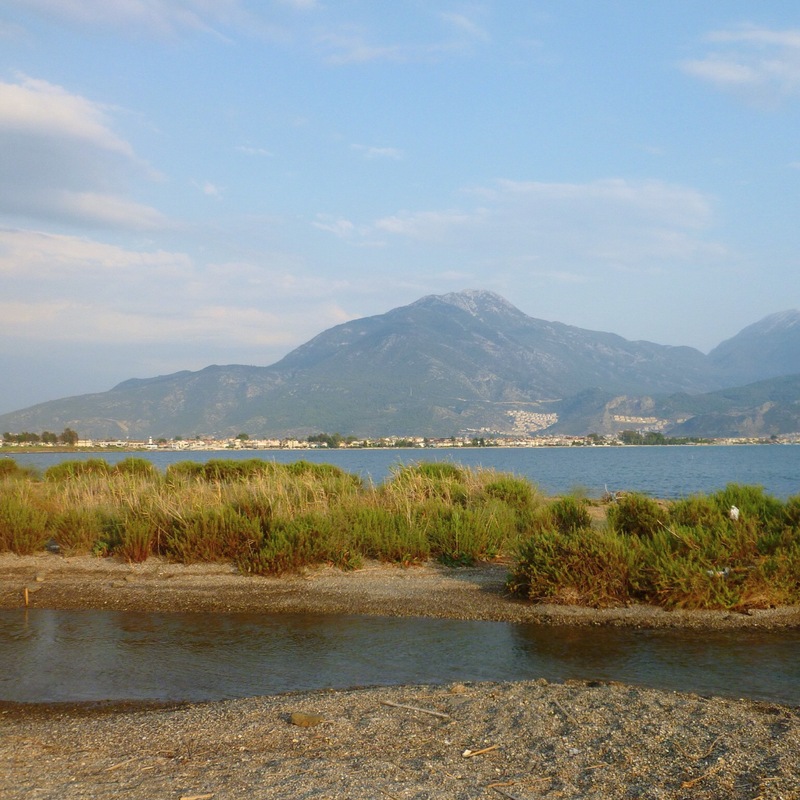 Calis beach is quite long, it starts off wide in Koca Calis and the further along the beach you get, the more narrow it becomes. 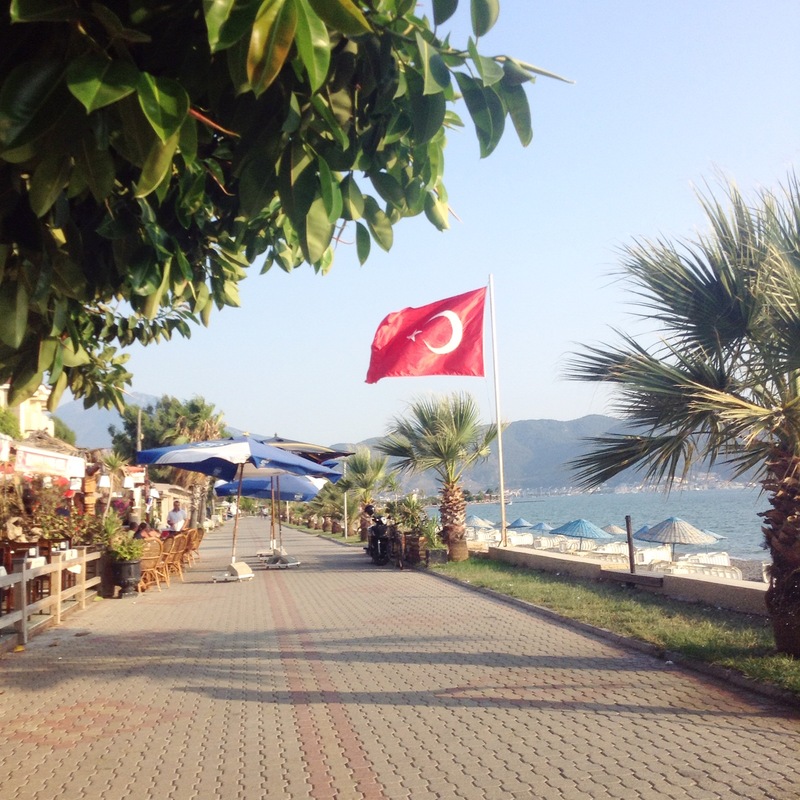 Eventually, near Şat restaurant, the beach becomes a narrow strip, with the sea one side and the canal the other. 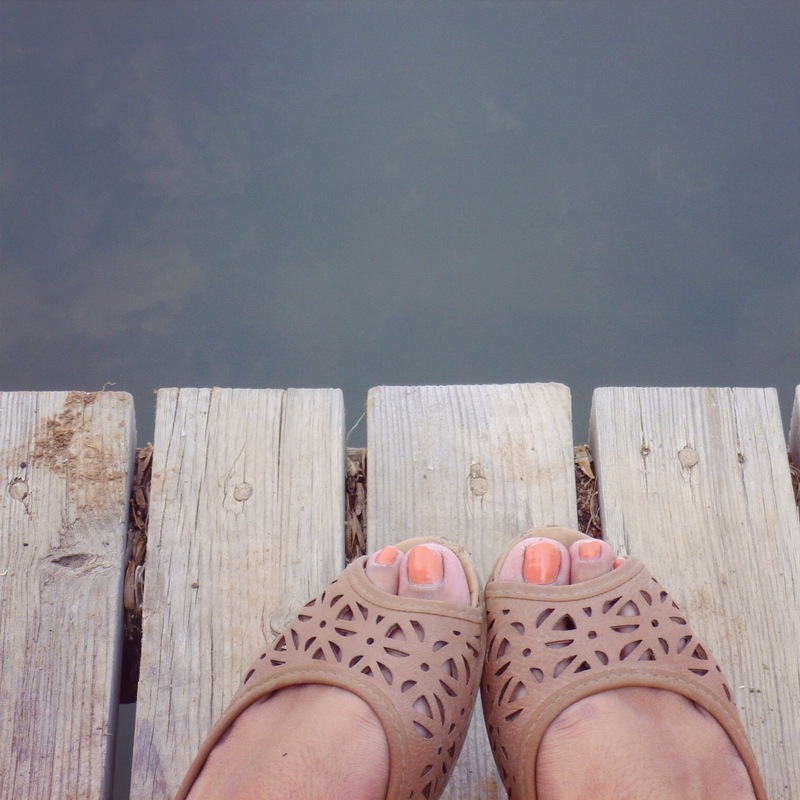 When we reached the end, just before the restaurant, we found a cute wooden bench on a platform over the water – it was so peaceful. 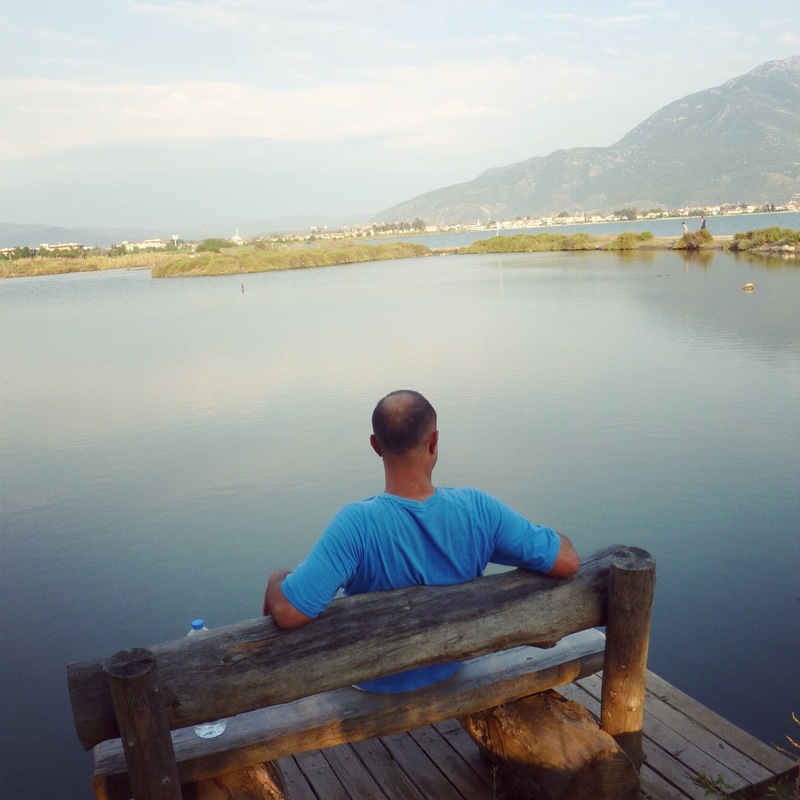 We sat down and admired the views. 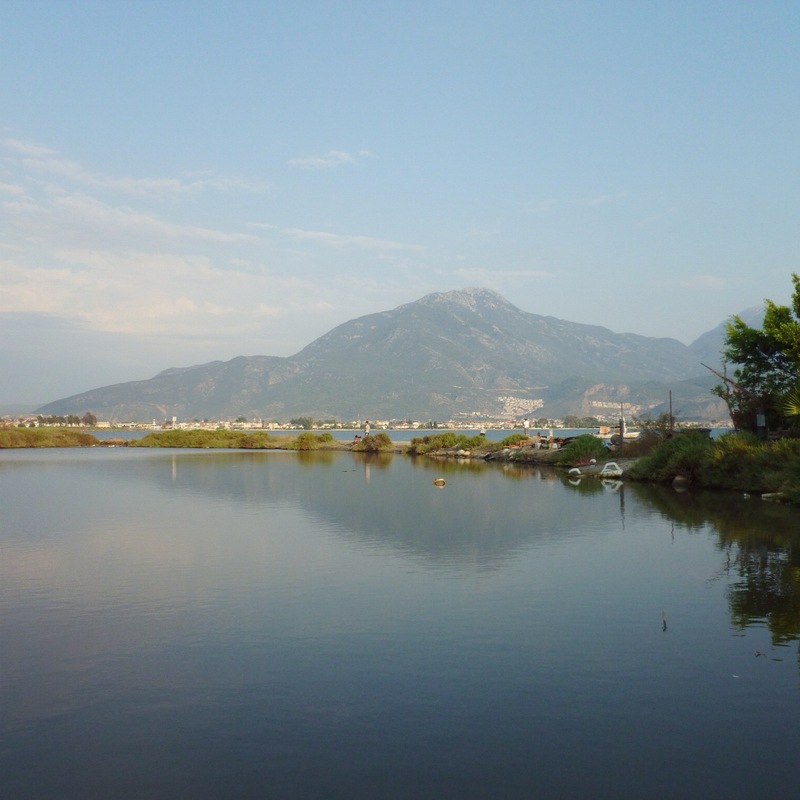 The water was murky, it’s where the canal meets the sea so it’s not the cleanest.. it wasn’t very deep and I could see to the bottom – I even saw a few crabs waddling sideways under the water checking us out – I tried to take a photo but the water was so murky it was too difficult. 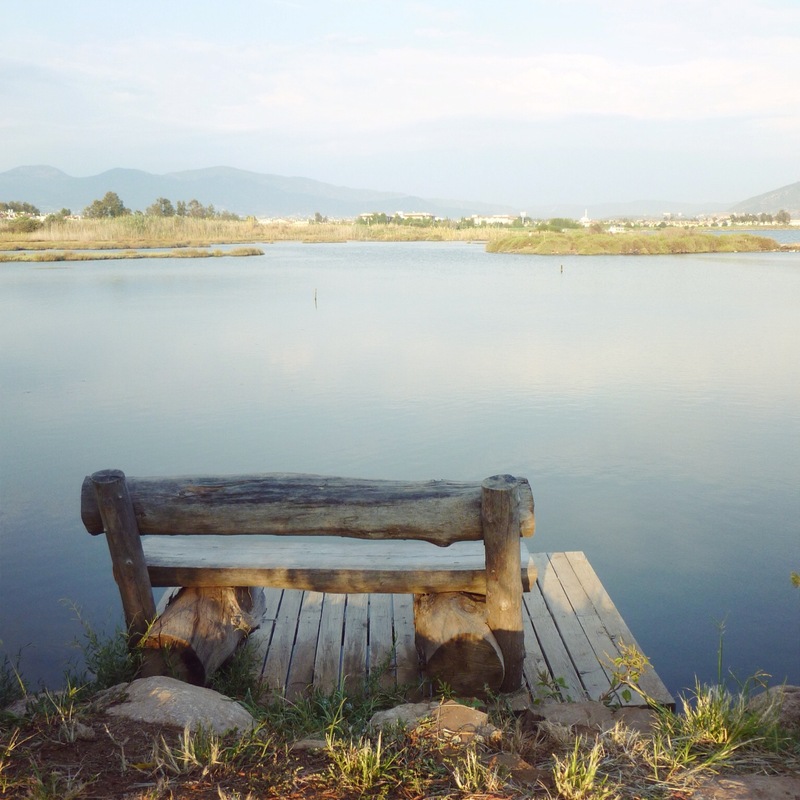 It was such a lovely place to sit and chill out. 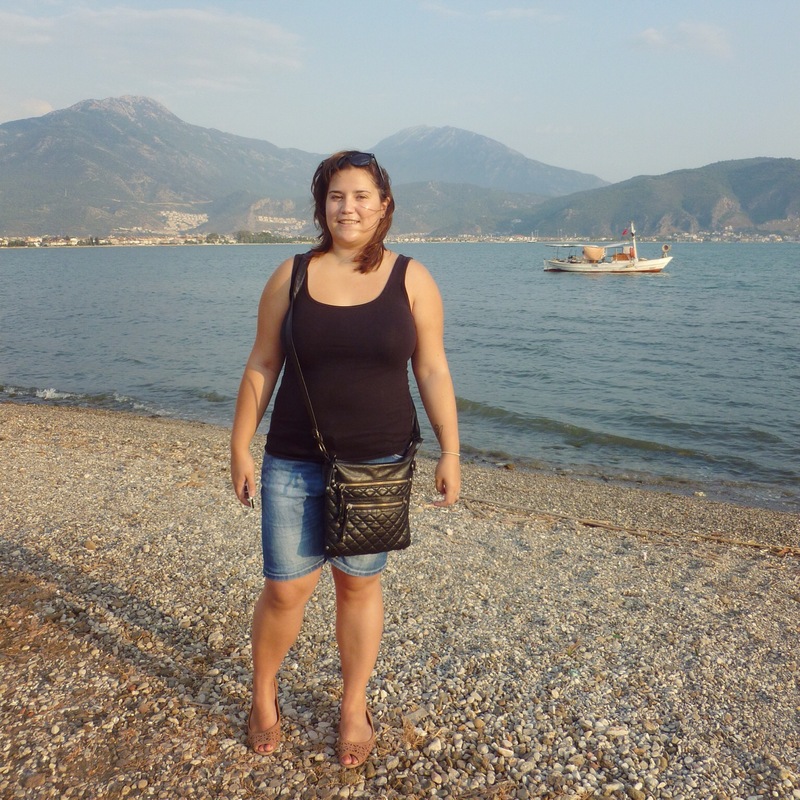 It was around 18.45 at this point and we had to walk home in time for Berkay to go to work, but I was determined to walk to the very furthest point of the ‘beach’, so we got up and walked further around. There were signs everywhere saying that fishing was forbidden, yet we saw several people fishing for both fish, and crabs – they had bags full so were obviously quite successful! We made it to the very furthest point where it was impossible to go any further without getting wet. 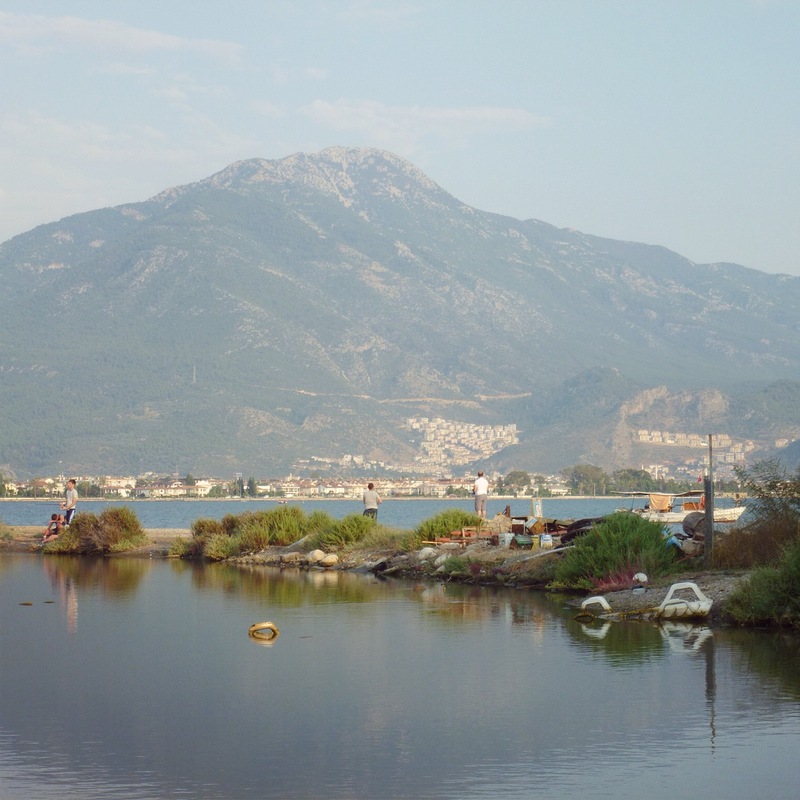 It’s where the water taxi’s from Calis – Fethiye travel and where the canal meets the sea. It’s sheltered so the water was very calm, so still it was almost like a mirror, I bet it’d be beautiful to walk along there just after sunrise in the early morning. The most impressive thing for me was the view across to the mountains. 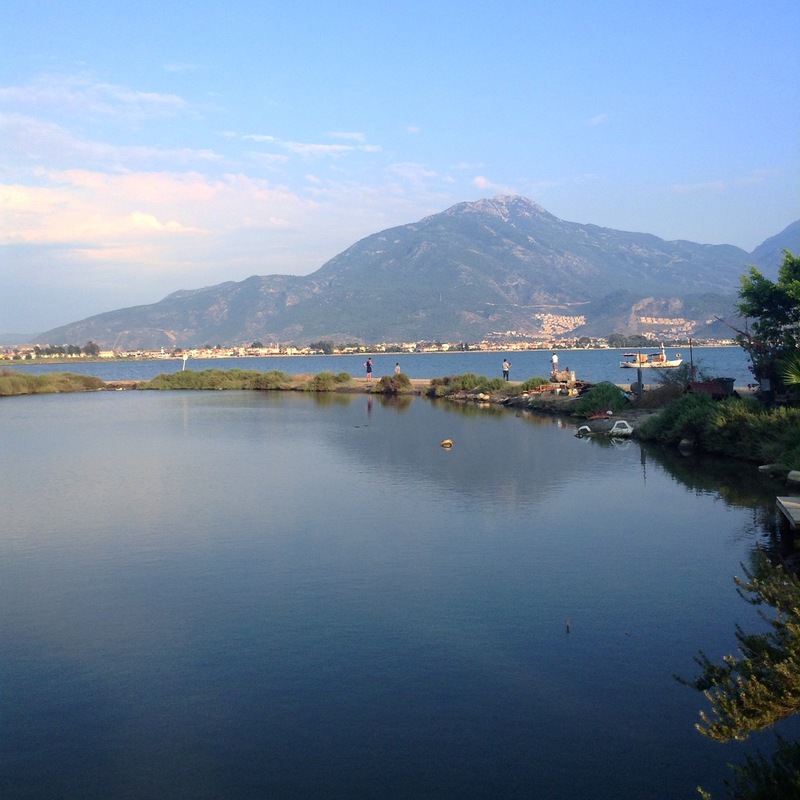 I’ve mentioned before that when you’re on your way back to Fethyie and see those mountains you just know you’re ‘home’ – they’re part of the backdrop we see everyday, but seeing them from here made them look even more beautiful. In fact, I thought one of these photos was so beautiful I made it my new blog header, as you may have noticed! 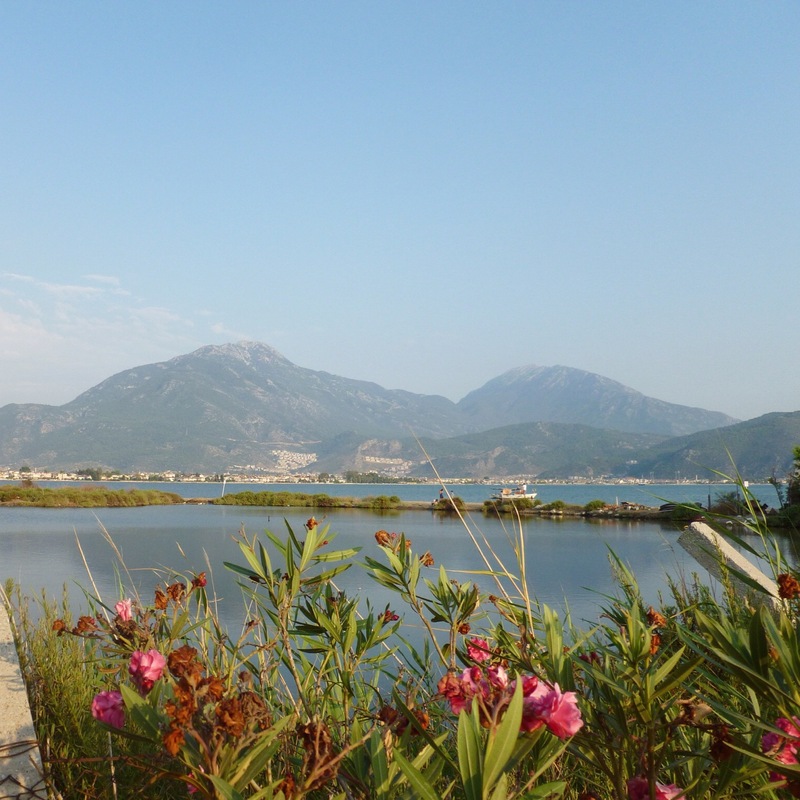 Unfortunately we couldn’t stay and admire the view for too long, I’m not even 100% sure we should have been walking there in the first place, but we had to head back home for Berkay to go to work. 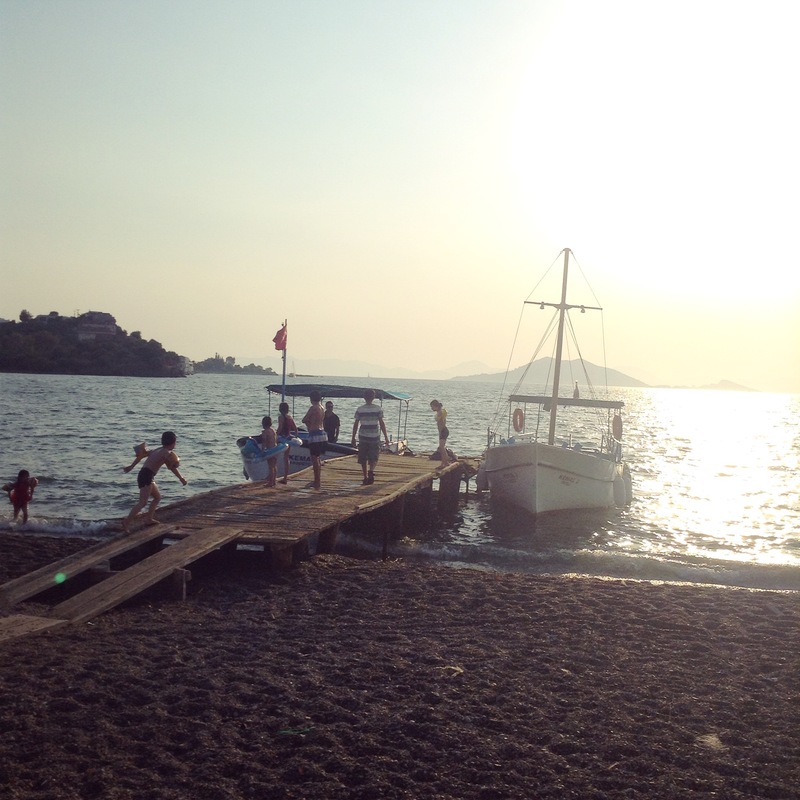 As we were walking back some boats were boarding passengers at the jetty, and the sun was just beginning to go down. I’ve really noticed how much earlier the sun is beginning to set now – at the start of Ramadan it was around 20.45, now it’s more like 20.20 – I wonder why the sun sets so early here, even in summer? It will soon be winter! Awww this looked absolutely stunning Danni. I’m feeling rather jealous sitting here in the UK!! 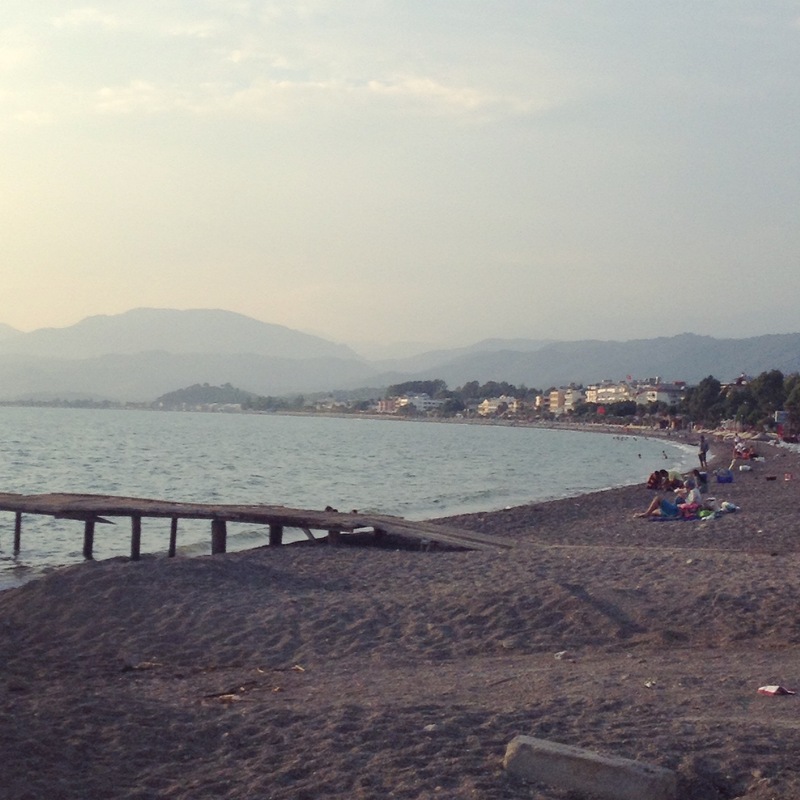 We visited friends in Calis for a few days last year…..so know where your photos were taken brought them to life. Love read your posts. Hey Danni,loving your new blog header,the pictures are fab as always but there’s nothing better than seeing them for real is there. We have never ventured that far but I think this time I will,i so want to sit on that little bench not so long now 😀 I’ve sent you an email too. Have happy days Danni. 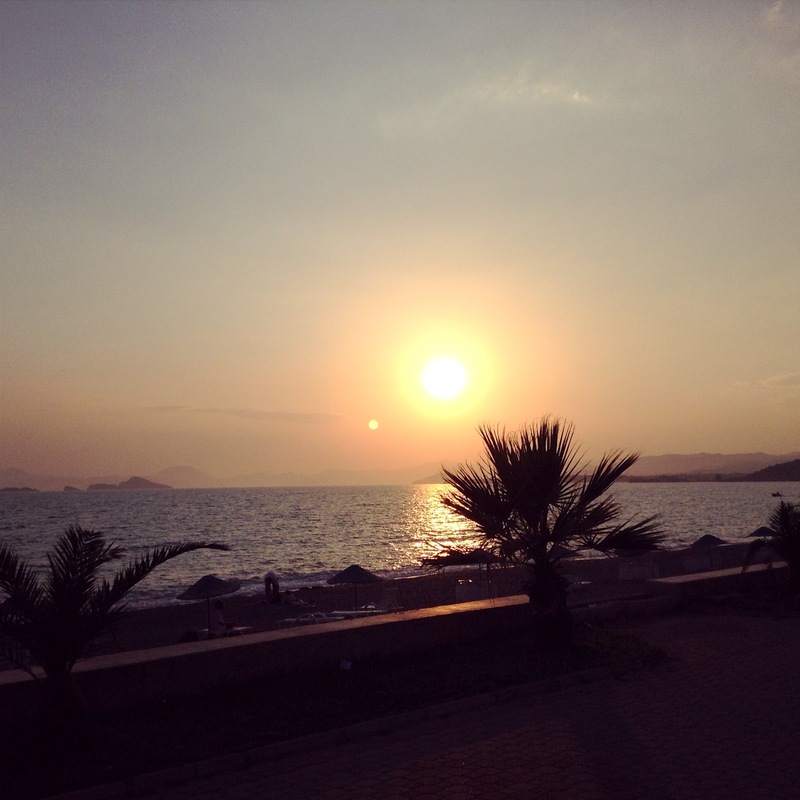 ← From sunshine to sunset in Calis..